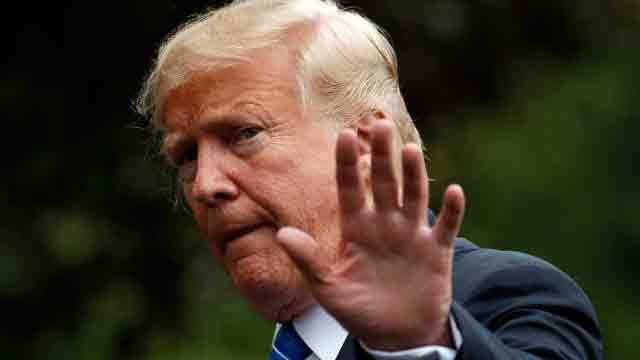 Mexico City, July 25 (Just News): Mexican president-elect Andres Manuel Lopez Obrador said Tuesday that Donald Trump had urged him to accelerate negotiations to revamp the North American Free Trade Agreement. “I believe a successful renegotiation of the North American Free Trade Agreement will lead to even more jobs and higher wages for hard-working American and Mexican workers-but only if it can go quickly, because otherwise I must go a much different route,” Trump wrote in the letter. Trump’s letter, which was sent in English and in Spanish, was seen by AFP and read to the press by incoming foreign minister Marcelo Ebrard with American approval. It was a response to a letter Lopez Obrador sent to Trump via a delegation of senior US officials that visited him in Mexico City on 13 July. In his own missive, the incoming president said Mexico wants ties founded on “respect, friendship and focused on development cooperation,” and said that the more Mexico gets developed, the fewer people will have to leave the country in search of work. He also spoke of a “new relationship” with the US. “I agree with the four priorities you have identified: trade, migration, development and security,” Trump said in his text. “America welcomes legal immigrants from around the world, but we cannot accept illegal immigration,” the letter read. US tariffs on Mexican steel and aluminum, Trump’s “zero-tolerance” policy on undocumented immigrants, and President Enrique Pena Nieto’s two abrupt cancellations of visits to Washington have added to the tension.